I don't know about you, but I seem to jump from bag to bag to bag in search of the perfect one to hold all the essentials. 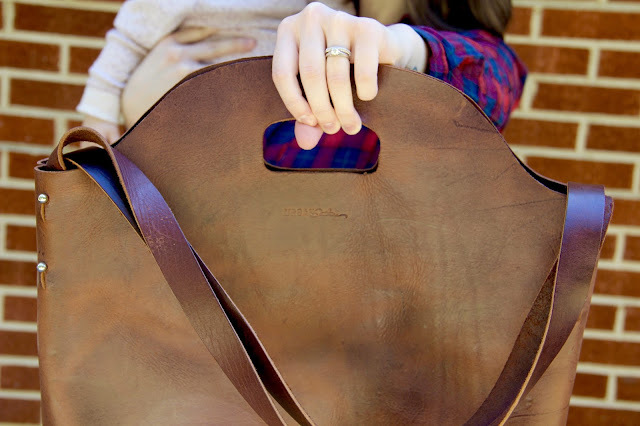 Now that I'm carrying things for a baby + mine (and let's be honest, sometimes husband's things too), I really need a sturdy and dependable bag that can do it all. I have high standards and even higher expectations, so I refuse to settle for something that will only be mediocre. I'd rather invest, than need to spend way too much on one too many bags. In the upcoming months we have a couple of trips planned, and I always like to travel with a carry-on bag, even when a flight isn't included. What I mean is a bag that I tuck at my feet in the car filled with my laptop, wallet, magazines, baby items that I want to have at my fingertips, my camera, a sweatshirt, glasses, snacks (can't forget those), and yes even a thin blanket. That's a lot of stuff, but I've finally found the bag that will hold it all and do so while looking beautiful. Urban Southern caught my eye immediately. 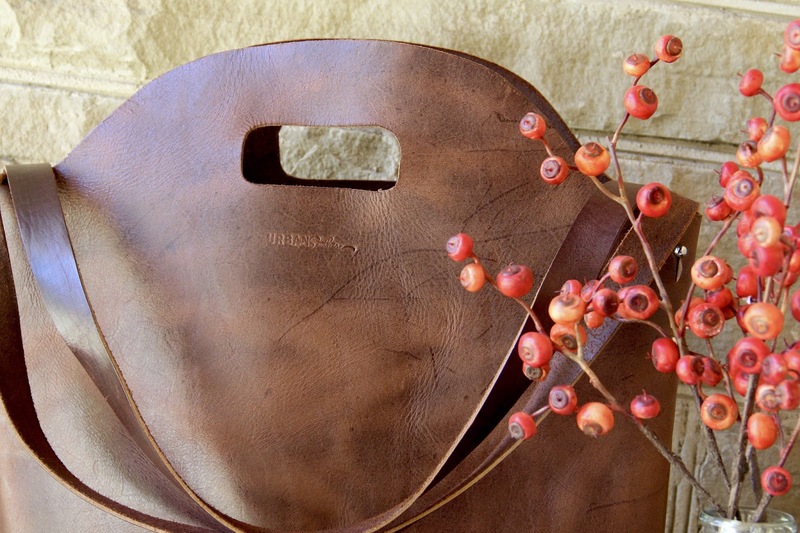 Their leather bags are stunning. But not just that, they are also quality pieces that really do the job they're intended to do. 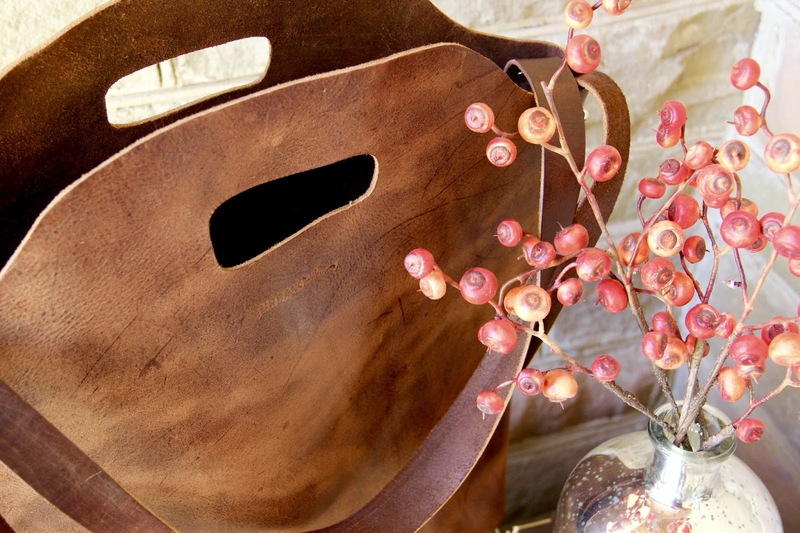 Not only do I have a gorgeous bag to carry, but I trust that it's going to hold up, which is huge for me. I love that each bag is hand-made in the south! 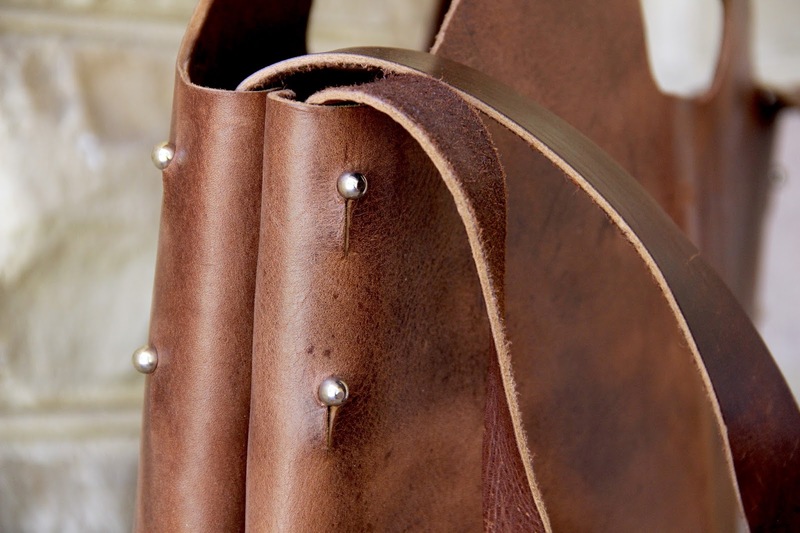 The hand-rubbed leather and waxed edges give the bag a classic look that will stand the test of time, and the number of times I sling it over my shoulder. 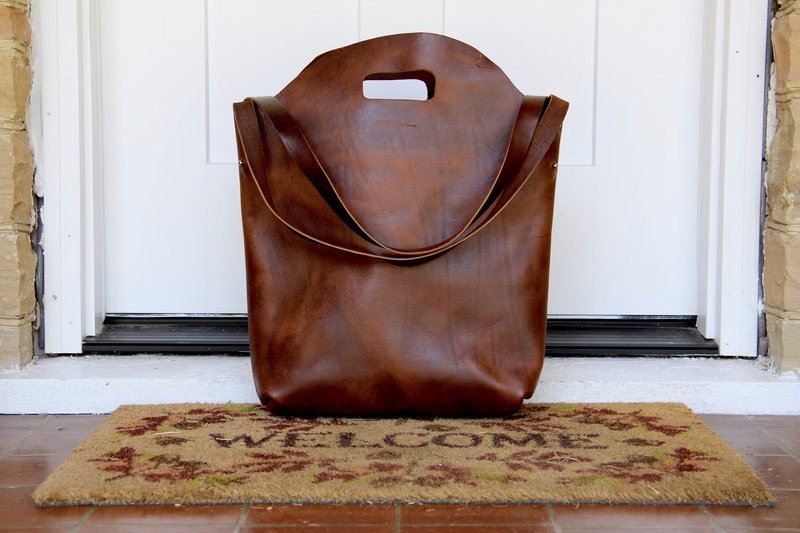 I think one of my favorite features of the tote is that it is long and vertical, versus being horizontal. This way I'm not knocking into things with it, but it rests nicely by my side. 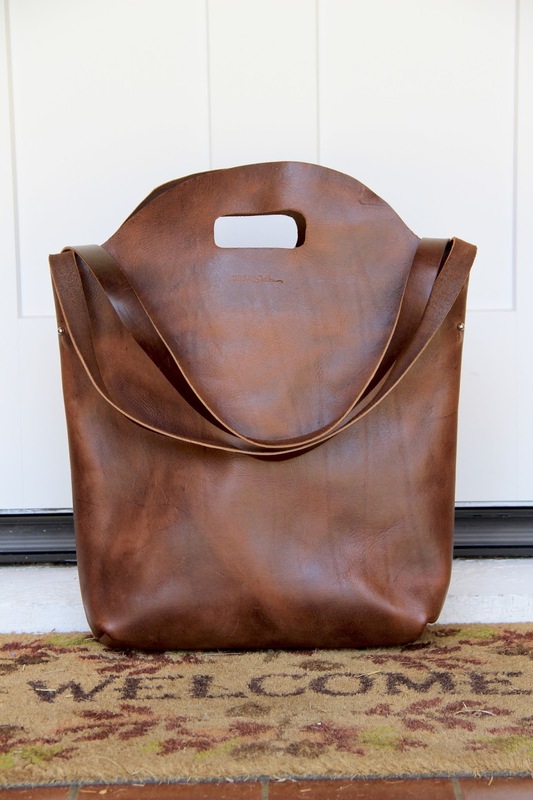 It's long enough to completely conceal my laptop, and offers enough space for anything else I want to tuck away in it. 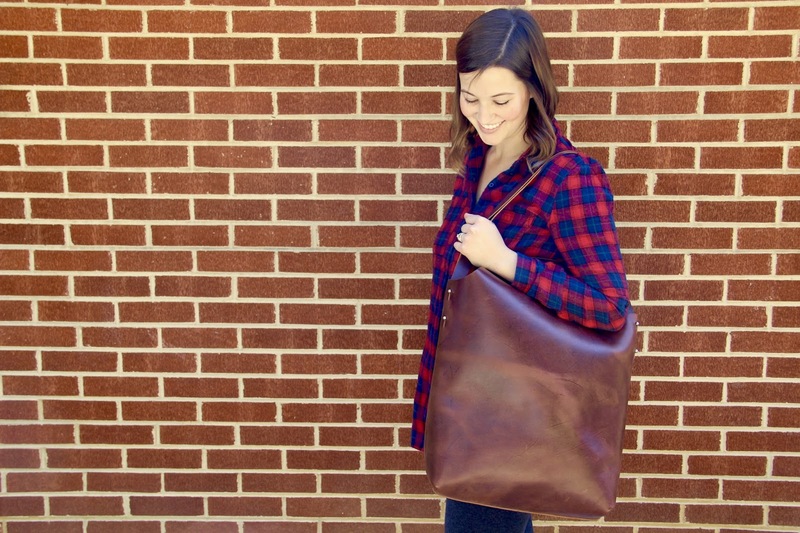 Thanks to Urban Southern for providing the Market Tote. All opinions expressed are mine alone.